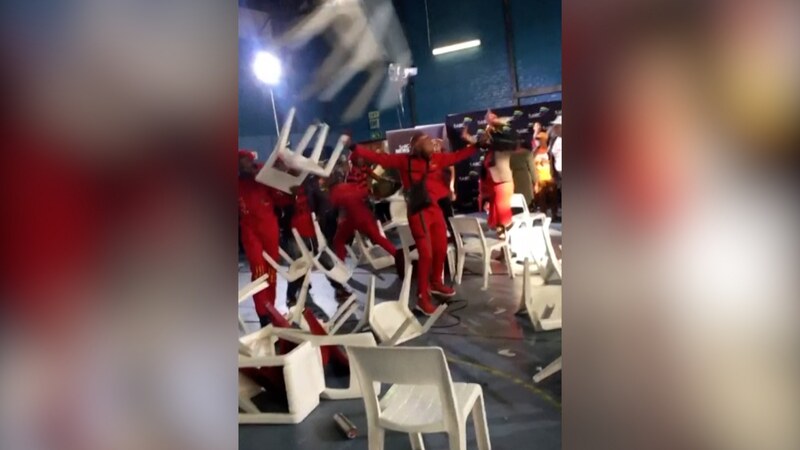 An election debate in South Africa descended into chaos on Friday as supporters of opposing parties ended up fighting each other. Supporters of the Economic Freedom Fighters (EFF) party, wearing red, and other parties had turned up to hear political leaders speak. At some point tempers flared, and soon chairs flew through the air, while punches were thrown.